With promotional content and ads abound, it's hard to imagine anyone missed the release of the latest and third Exmortus installment, Slave to the Sword. 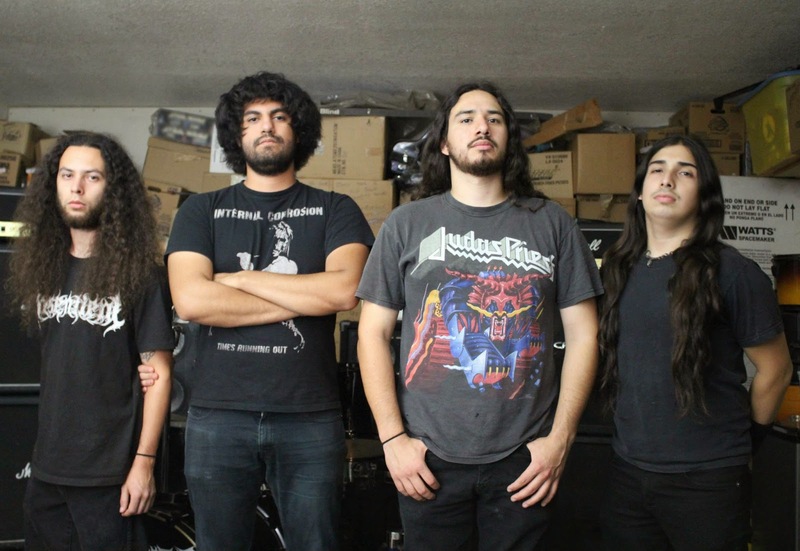 The album was surrounded by heavy hype from the California based group's new home label, Prosthetic Records, and has found the band on an ensuing post-release tour to support the album. 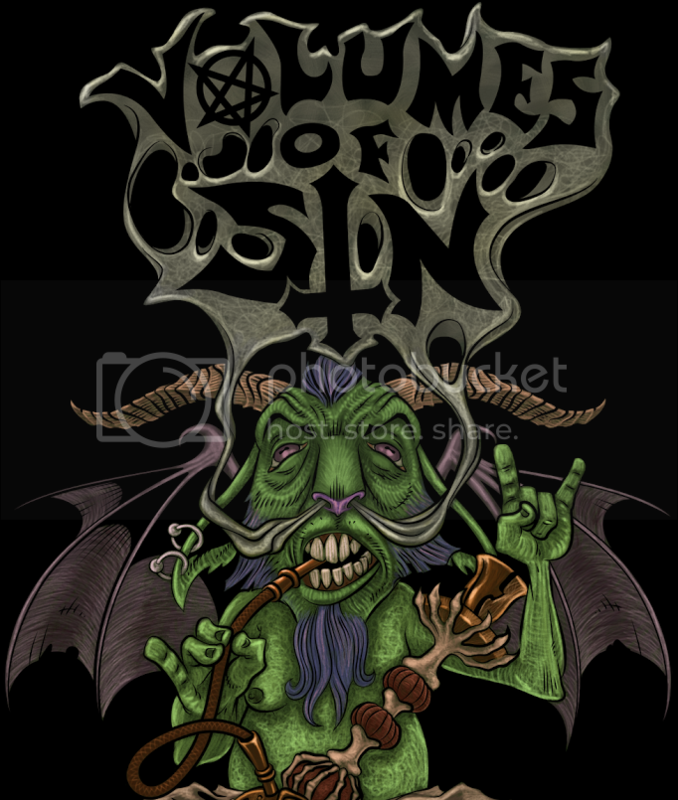 Boasting the rare genre of technical thrash metal combined with death metal, how well does this sensationalized album stack up to the promotion surrounding it? The material overall feels rigidly stiff due to the classical, almost orchestral, compositions that are present; technical as they are, they just don't flow fluently. The mainframe of every song relies heavily on palm muted rhythm guitar riffs which are followed in time by double bass drumming that is not optimized for the production quality of the audio, and are often heard causing heavy static and unintended distortion. The bass guitar is found hiding in the back of the mix more often than not, rising on occasion to a well audible level, but it doesn't have a profound impact on the already bass driven backdrop. The lead guitar is only used for technical ear candy which is executed with skillful, quick fingers. The material showcases a large range of scales and original lead compositions, however the further the audience adventures into the album the more apparent it becomes that this fundamental is used as little more than a gimmick to mask the bland, mediocre song bases that are provided by the drums and rhythm guitar. "Moonlight Sonata (Act 3)" is by far the best lead guitar work, replicating the Beethoven classic in a lavish transition from its original composition into heavy metal, but sadly it's backed by the same structures that are present in the rest of the album. 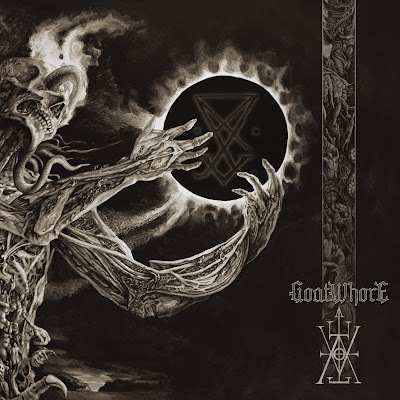 Essentially, the best way to sum up the content is to say that it is less free-flowing Jeff Loomis guitar wankery backed by unfavorable Amon Amarth beats with slightly growly vocals that lack power and substance while emulating lyrics inspired from any given Manowar title. Slave to the Sword is an unfortunately disappointing installment in the Exmortus gallery given the hype that surrounded its release. The material relies far too much on the skill of the lead guitarist to conceal the same beats, rhythms and stagnant tempo of each track. Given the high production quality of the content, the album shouldn't have any issues with static, however since the drums are mixed so high and with such dynamic force the quality of the album caves; especially in the latter half of the recording, which sees the content becoming surrounded with a light static feature and heavy bouts unintended distortion. 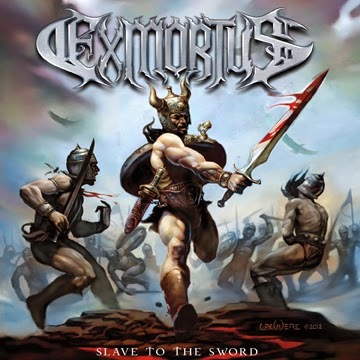 Hopefully Exmortus will learn and move on from the mistakes present on this album while still keeping their enjoyable lead guitar and classical arrangements, but with more fluidity and originality.